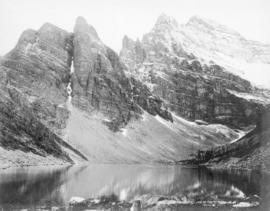 Lake Agnes or Lake in the Clouds, near Laggan, Alta. 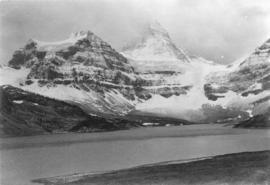 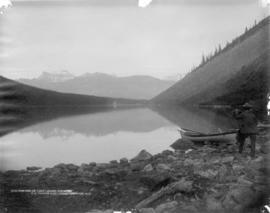 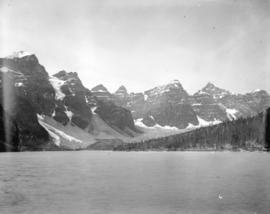 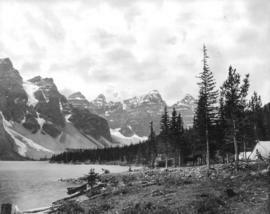 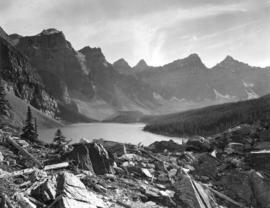 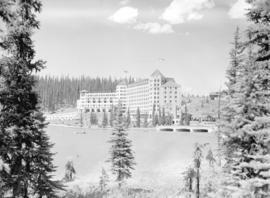 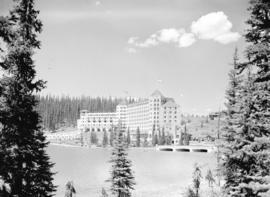 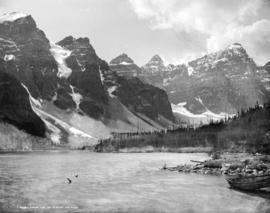 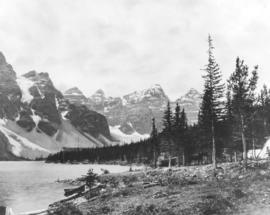 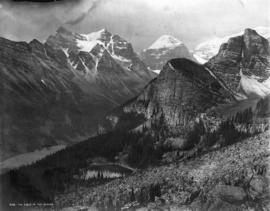 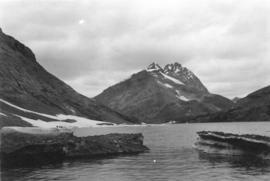 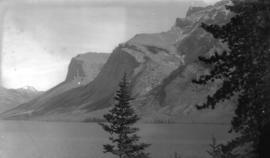 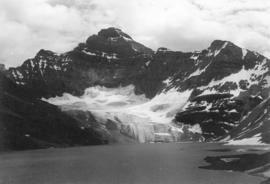 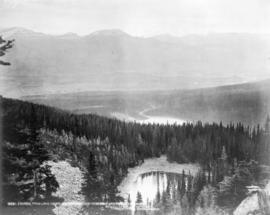 Looking from Lake Agnes, showing portion of Mirror and Louise Lakes and Chalet near Laggan, Alta. 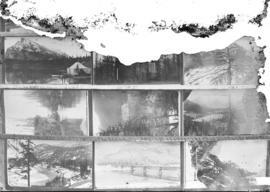 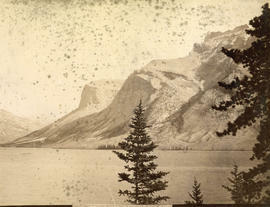 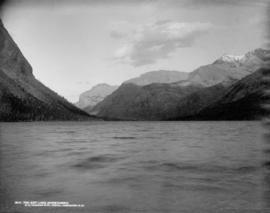 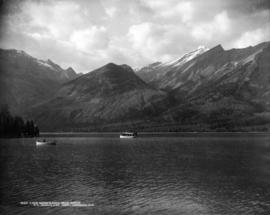 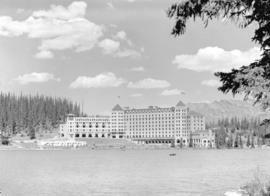 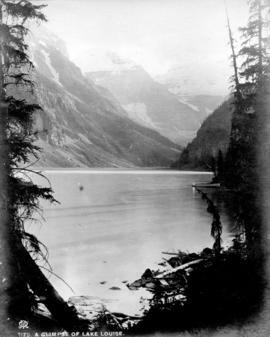 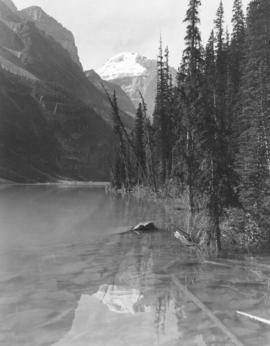 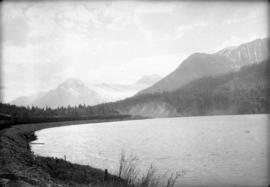 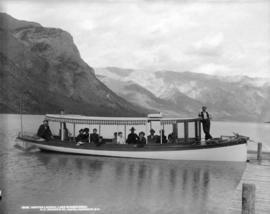 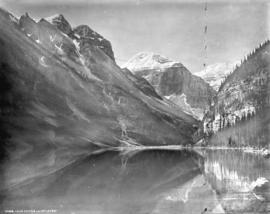 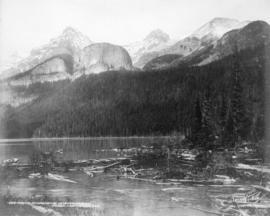 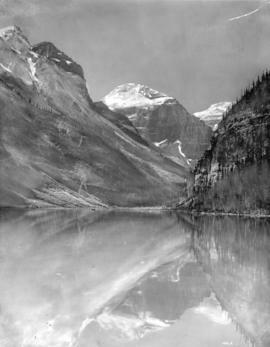 Portion of Lake Louise, near Laggan, Alta. 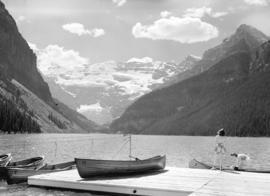 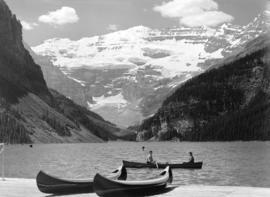 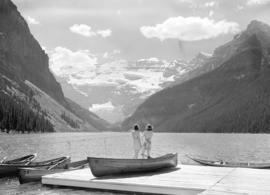 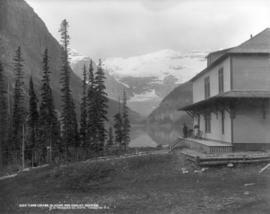 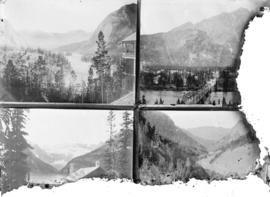 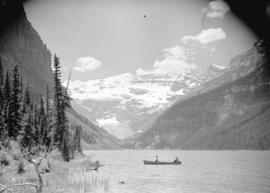 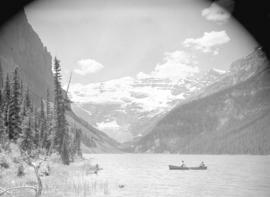 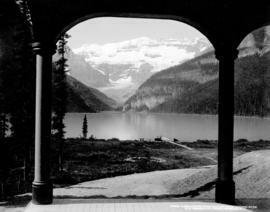 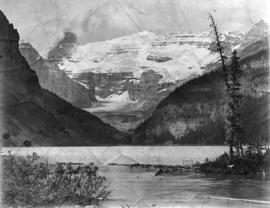 [View of] Lake Louise from Chalet, near Laggan, Alta.